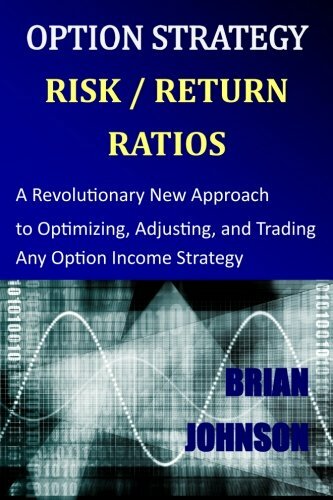 Written by Brian Johnson, a professional investment manager with many years of trading and teaching experience, Option Strategy Risk/Return Ratios introduces a revolutionary new framework for evaluating, comparing, adjusting, and optimizing option income strategies. Drawing on his extensive background in option-pricing and on decades of experience in investment management and trading, Brian Johnson developed these tools specifically to manage option income strategies. Created especially for investors who have some familiarity with options, this practical guide begins with an examination of option income strategies and is followed by a review of the option Greeks, the building blocks of option risk management. Next, a critique of common adjustment triggers lays the foundation for a detailed explanation of these exciting new tools: option strategy risk/return ratios. Each option income strategy is explained, evaluated, and ranked using these new tools with complete descriptions and graphical examples. The book includes over sixty separate graphs and tables to illustrate how risk/return ratios behave using specific strategy examples in actual market conditions. The risk/return ratios are then used to introduce a new hybrid strategy that combines the best characteristics of the other income strategies. Finally, the last chapter examines practical considerations and prospective applications of these innovative new tools. Not only are the formulas provided for every calculation, but each risk/return ratio is explained intuitively and depicted graphically. For traders who are not mathematically inclined, Option Strategy Risk/Return Ratios also includes a link to an Excel spreadsheet with macros designed to calculate all of the risk/return ratios introduced in the book. About the Author:Brian Johnson designed, programmed, and implemented the first return sensitivity based parametric framework actively used to control risk in fixed income portfolios. He further extended the capabilities of this approach by designing and programming an integrated series of option valuation, prepayment, and optimization models. Based on this technology, Mr. Johnson founded Lincoln Capital Management's fixed income index business, where he ultimately managed over $13 billion in assets for some of the largest and most sophisticated institutional clients in the U.S. and around the globe. He later served as the President of a financial consulting and software development firm, designing artificial intelligence-based forecasting and risk management systems for institutional investment managers. Mr. Johnson is now a full-time proprietary trader in options, futures, stocks, and ETFs primarily using algorithmic trading strategies. In addition to his professional investment experience, he also designed and taught courses in financial derivatives for both MBA and undergraduate business programs. He has written articles for the Financial Analysts Journal, Active Trader, and Seeking Alpha and he regularly shares his trading insights and research ideas as the editor of TraderEdge.Net. Mr. Johnson holds a B.S. degree in finance with high honors from the University of Illinois at Urbana-Champaign and an MBA degree with a specialization in Finance from the University of Chicago Booth School of Business. If you have any questions about this product by Trading Insights, LLC, contact us by completing and submitting the form below. If you are looking for a specif part number, please include it with your message.